Two former welterweight world champions square off tonight at the Emerald Queen Casino in Tacoma, Washington with the WBC Light Middleweight title at stake. Both Carlos Baldomir and Vernon Forrest have seen the heights of success and the lows of disappointment over the course of their long careers and are well aware that this contest is a winner take all affair. 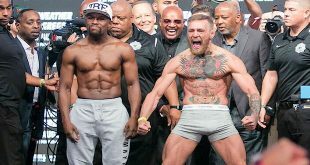 The winner will likely go onto lucrative unification fights while the loser may very well face a long, hard climb back to world level if it is even possible as both are in their 36th year. With a height and quickness advantage, Forrest, 38-2 (28), will almost certainly seek to keep the bull-like Baldomir at arm's length, keeping the jab in the Argentine fighter's face all night and threatening the big right hand should "Tata" get inside. Baldomir is well aware of his disadvantages and will likely charge Forrest and make the lanky Georgia man to work in order to take enough stamina away and force trench warfare in the later rounds. 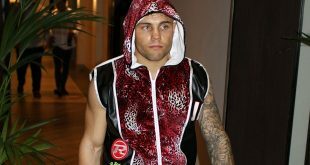 The South American pulled the trick off against Zab Judah a year and a half ago as he wore the reigning welter champ down in the seventh and convinced Judah into running for the rest of the bout. Ricardo Mayorga forced Forrest to fight early on in their first bout and shockingly stopped the former amateur star in 2003 but Baldomir lacks the firepower of the Nicaraguan wild man and will have to plug away for all twelve rounds if he is to beat Forrest. But Forrest is very experienced and certainly has the skills to keep Baldomir from running roughshod; it's really down to whether or not the American can maintain proper distance and discourage Baldomir from continuing to come forward, conserving enough along the way to keep out of a slugfest. Forrest has not been in the ring for almost a year after a very close fight with Ike Quartey last August and Baldomir has been inactive since getting schooled by Floyd Mayweather in November of last year. Will either man be able to recapture past glory or will there be two aging warriors fighting ring rust as much as each other? 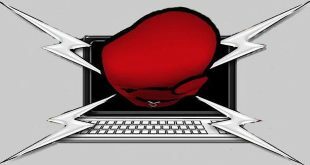 Previous Bobby Gunn to Donate Percentage of Fight Purse!